Last time I was here, I said I was going to write about the Titan decks I have been playing recently in Modern, and I really need to get on that before Modern Horizons comes out and changes the format as we know it. 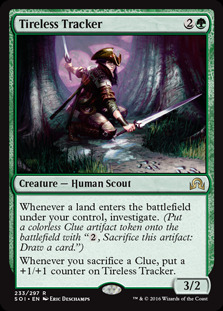 I am excited for the set to come out, and even more so for new cards to come in to the format. It's nice to be able to shake it up without relying on the crutch that is the banned list. 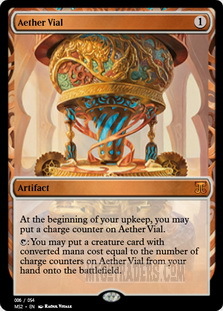 I understand that cards are too good, and formats didn't see the testing that they should have, but with Modern getting a Standard like (in terms of playtesting, not exactly power level) set, and that getting tested, from what I understand, as much as a Standard legal set would be, I shouldn't worry. 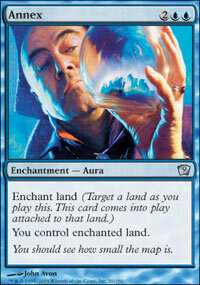 Yet, with my excitement for Modern Horizons, I am also a little apprehensive. 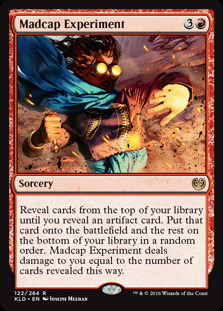 Wizards of the Coast is very good at making Magic: The Gathering, and they are very good at making exciting cards, but outside of Standard and limited play, I don't think they have been great with format management. A lot of it has to do with the giant card pools that these formats have, more still that Standard product is what they make their money on, and finally, I think that they have been spread to thin to catch everything. Vintage, Legacy, Modern, Standard, and Limited are the core formats for WotC, but what about the new format that Arena is going to bring with it? What about Pauper, which has picked up so much steam that it recently had an MCQ, and now offers a path to the Mythic Championship? 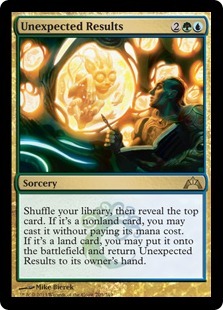 Standard and Limited pretty much manage themselves, and it's super easy to find cards that have broken the formats, but each new set in Magic adds new interactions to cards that go back to the mid 90s. 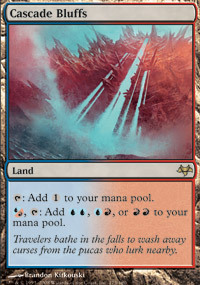 The Reserved List has created a ton of problems as well, and I can see WotC moving away from Vintage and Legacy, and with the addition of Modern Horizons, I see WotC intentionally trying to create Legacy, but with Shocklands. 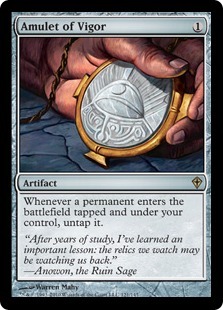 What would that mean for Vintage and Legacy? 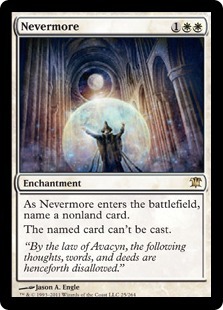 Would MagicFest support dry up for Legacy? Would it be left in the capable hands of StarCityGames and their open and classic series? I've spent a lot of time recently playing Vintage and Legacy, and you know what? Those formats are absolute blasts to play. 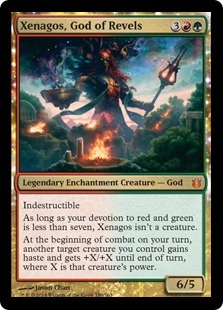 I honestly see Vintage and Legacy going the way of Commander. WotC would kinda go hands off of the formats, and committees brought in would manage the banned lists much like Sheldon and his capable crew do already for Commander. 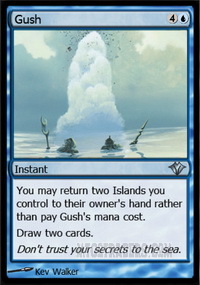 I would imagine that both of these formats stay on MTGO, and possibly still offer paths to the MOCS and Mythic Championships. 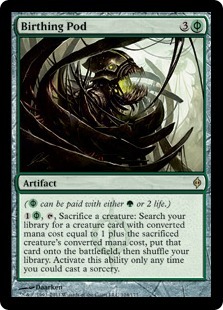 I guess what I am building to is this: Because Modern is well, more modern than Legacy and Vintage, the addition of new cards, designed specifically for this allows WotC to ignore the problems that the Reserved List created, while also giving players that want to play with the full depth of their collections the outlet to do so. 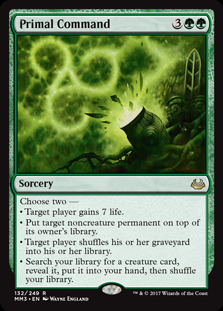 Creating these cards also gives Wizards the incentive to shave Legacy events off, and create an organized play program that not only syncs with Arena, but with New World Order as well. 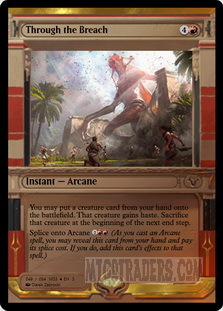 This is what I see supported formats looking like soon. 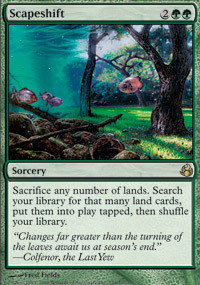 Modern: With the addition of Modern Horizons, this would fill the competitive hole that Legacy cannot for many reasons, mainly those of card availability. Pauper: A rotation that puts it in line with Modern and the new sets. 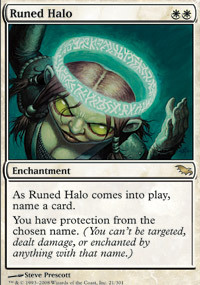 This would also deal with a lot of problematic cards from before the formats birth. 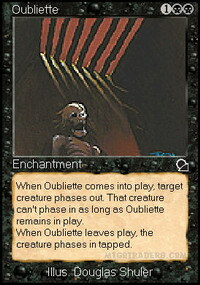 Wouldn't need to reprint Oubliette anymore if it wasn't legal in the format right? Wouldn't need to deal with Gush or Brainstorm as well right? 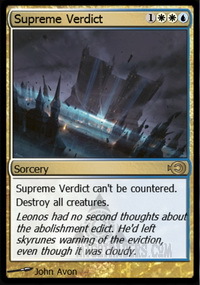 New Modern: This would be the format that is created when rotation is happening on Arena this year. 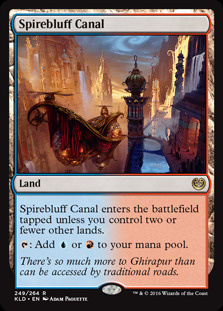 Probably starting with Kaladesh and all sets after on the client. Standard: Stays the same for obvious reasons. The game needs a rotating format not only for freshness, but to move new product. I don't know what's really going to happen with Organized Play in the future, I do know that I am going enjoy playing Modern for what it is now, and hopefully enjoy it still for what it turns in to with Modern Horizons. Let's look at some Titan decks! I've found decks for nearly every titan, though I don't think anyone has actually played with Frost Titan since Birthing Pod was legal, and even then it was a marginal choice for the deck to play. 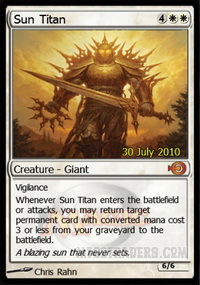 Sun Titan stays in two decks pretty much, one of which is a prison based deck, and the other, a combo control deck with Saheeli Rai . 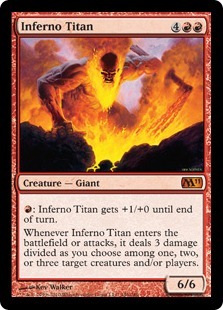 Inferno Titan is one of the heavy hitters in Gruul Land Destruction, and that is where it seems to stay. 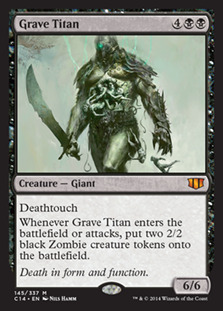 Grave Titan is not really a mainstay, but sees marginal play when black needs a good one. 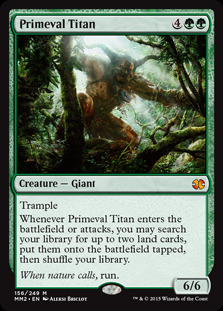 Primeval Titan is the one that sees play the most, usually coupled with Valakut, the Molten Pinnacle or Scapeshift , but sometimes playing a support role for Through the Breach , Unexpected Results or Tooth and Nail . Let's briefly look at the Titan decks in the format, as of March 20, 2019. This deck is pretty sweet, as it looks to combine the power of Martyr of Sands with the best prison cards that white has to offer. 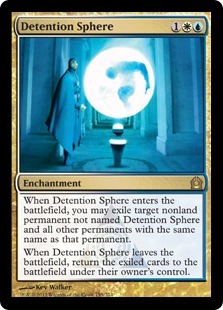 Ghostly Prison , Runed Halo , and Nevermore are hard to deal with threats for some of the best decks in the format, and the blue splash enables Supreme Verdict which is mass removal that Death's Shadow can't Stubborn Denial , and Detention Sphere , which really hurts decks that look to go wide. Other decks that Sun Titan show up in include Vannifar Combo (where it acts as a reset button in case the combo doesn't do what it needs to do for some reason). Martyr Proc, UW Midrange and Copycat. 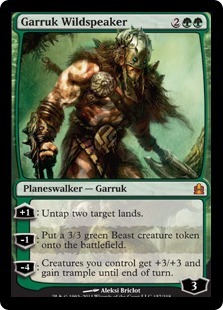 This is a pretty neat ramp deck, that to me plays a lot like the Gruul Land Destruction decks. 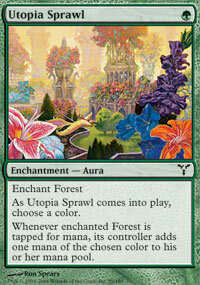 By that I mean, you have access to the Arbor Elf and Land enchantments that you ramp in to. 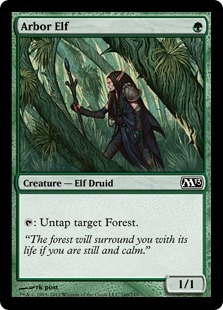 Decks like these can potentially have about one million mana on turn two thanks to an Arbor Elf on turn one, a second land on turn two, enchanting the first one (assumed Forest) with Utopia Sprawl and going on an untap spree. 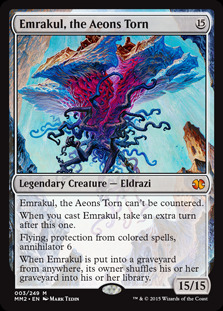 Fine, that's less than one million mana, but four on turn turn which could lead to turn that ends up with Garruk Wildspeaker and a piece of removal, or Tireless Tracker . This deck is explosive, and it tops off with Grave Titan . 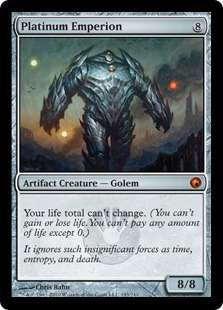 Grave Titan also shows up in decks like Unburial Rites value but according to MTGTop8.com, which I use in concert with MTGGoldfish, it's not seen much play at all since 2017. When one goes to MTGTop8 and searches Inferno Titan and Modern you get 188 deck results. I briefly browsed them. 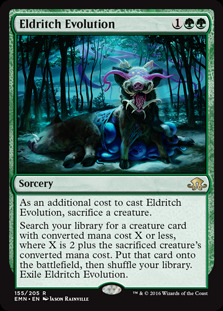 They are all basically the same deck, Gruul Land Destruction, outside of one instance of a Chord of Calling /Eldritch Evolution based deck. The database goes back to 2011, and since the middle of 2017, Inferno Titan has exclusively shown-up alongside Stone Rain , Molten Rain , Primal Command or Mwonvuli Acid-Moss to make life miserable for the opponent. This is one of my favorite decks in the format, I have played it a ton, but do not think it is currently well suited against the field. 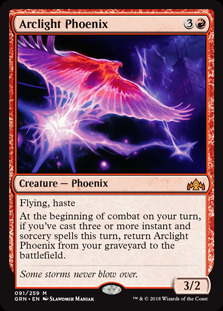 Arclight Phoenix and Thing in the Ice join Death's Shadow and Aether Vial as heavily played cards in decks that do not need a ton of mana to do their things. 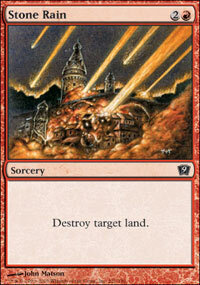 When Modern swings to bigger stuff, I feel like land destruction has a better chance to shine. Right now though? I don't like it. We've come to the most played Titan in the format, and Primeval Titan is either the centerpiece of a brainmelting deck that features Amulet of Vigor , or the unstoppable beatstick in a deck that attacks, but also throws Mountains at the face of the opponent. Amulit is a deck that I have played in one league, and played it poorly, because my brain started to seep out of my head like grape jelly around the edges of a peanut butter sandwich. I'm much better suited for Titan decks that use Through the Breach , Valakut, the Molten Pinnacle or Scapeshift . The less I say about this deck, the better, because playing it makes me feel wholly inadequate as a Magic player, and as someone who already feels like Magic's most mediocre player, I think that is for the best. 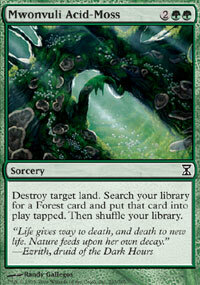 Here is a typical TitanShift list. I am running long and really need to wrap it up, but here is a stock list for TitanShift, a deck that looks to abuse Primeval Titan to ramp into a lethal Scapeshift in combination with Valakut. Titan Experiment is a variant of this list, as it adds Madcap Experiment and Platinum Emperion as a hard to deal with win condition as well. Titan Breach is a deck that looks to power out huge dumb monsters with Through the Breach . 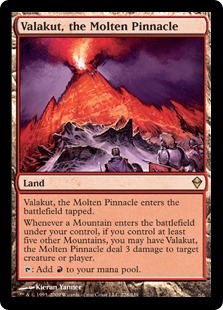 If that doesn't work, the Primeval Titan into Valakut plan is the back up here. Unexpected Results features in a variant of the Titan Breach decks, and you can see that list here. The following is stock list for Titan Breach, for when you absolutely have to throw an Emrakul, the Aeons Torn at someones head. 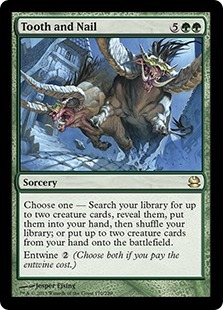 Tooth and Nail also features Primeval Titan, but to me it's much more of a Xenagos, God of Revels deck. 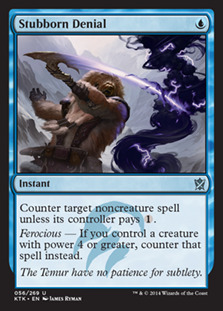 If you're spending nine mana to entwine a sorcery, you might as well just win the game right? Just for giggles here is the current list of Tooth and Nail in Modern. I promised a deck for each titan, but I didn't promise a current deck for each one. Frost Titan , the poor forgotten titan, only has one search result on MTGTop8, and thankfully it is from October of last year. This take on Eminent Domain top eighted a 28 player tournament in the Philippines, but any deck with Annex , Dream Leash and Wildfire will cause me to take notice of it. Is it good? 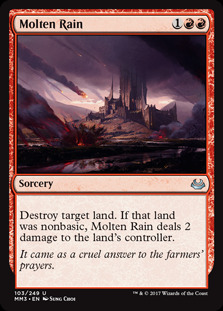 Well it has the same issues that I presented that Gruul Land Destruction faces, so it's probably not suited for high results in the current format, but is it something I am going to play with for fun? 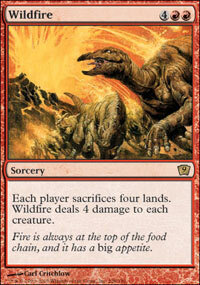 I think my biggest concern with this deck is the manabase. 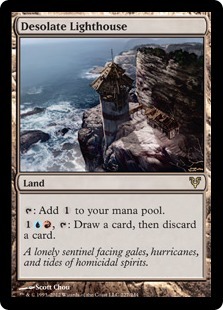 Yes you can buy it for 21 tickets on MTGO, but it lacks Spirebluff Canal or Cascade Bluffs or even something like Desolate Lighthouse to try to find more gas. 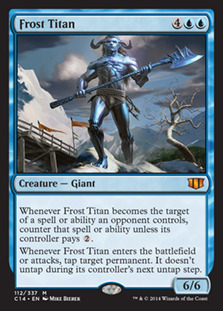 Regardless of that though, look at Frost Titan just doing Frost Titan things here. 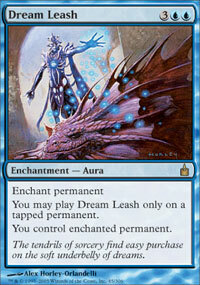 Dream Leash is great here too, because you don't have to take a land, you can take a tapped permanent so it plays very well with Frost Titan. Okay, I went on for a lot of words. I hope you enjoyed this golden treasury of Titan decks in the Modern format. I'm not sure what I am writing about next, so any ideas would help me a ton!